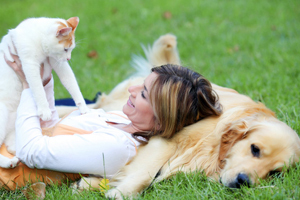 Keeping your pet healthy means being pro-active in their care. We’ll take the time to talk to you about caring for your pets throughout their lives. We strongly encourage preventative healthcare — our ultimate goal is to help your furry family member live the long, happy and healthy lives they deserve. Annual Parasite Screening - This important test combines a heartworm test with tests for common tickbourne diseases. Dental cleaning and periodontal disease treatment. Flea, tick, and internal parasite diagnosis, treatment & prevention programs. Nutrition counseling and pet weight-loss programs. Senior care and health monitoring programs.